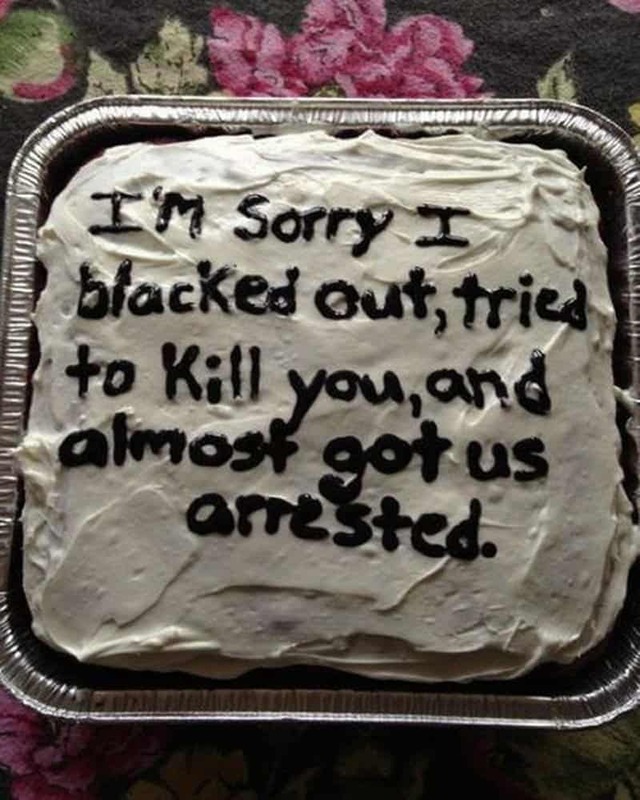 Not every situation needs a cake, but apparently some people out there disagree. 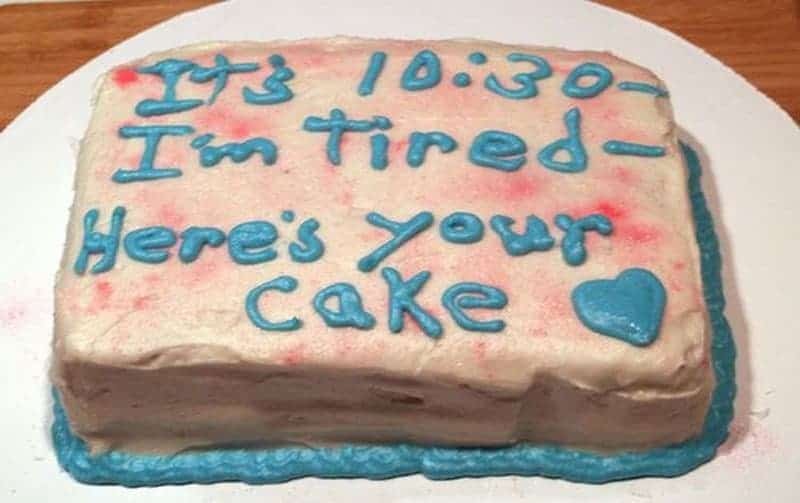 Some think you need a cake for everything: breaking the law, failure at work, awkward social situations, just because you want a cake… You name it, someone has made a cake for it! Here are some of the strangest cakes on the internet. 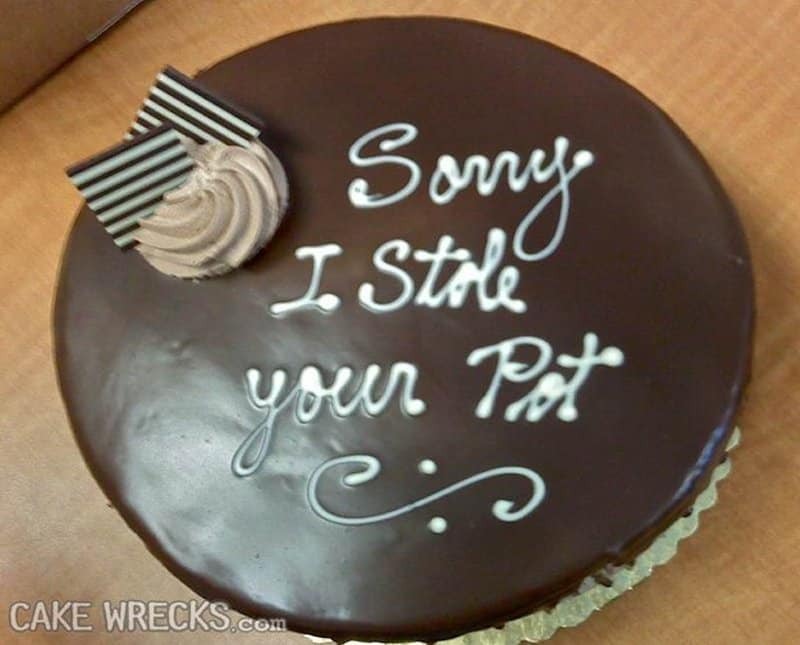 Looking at some of these cakes are bound to make you feel better about some of the mistakes in your life. At least they’re honest. Yum, strawberry icing! 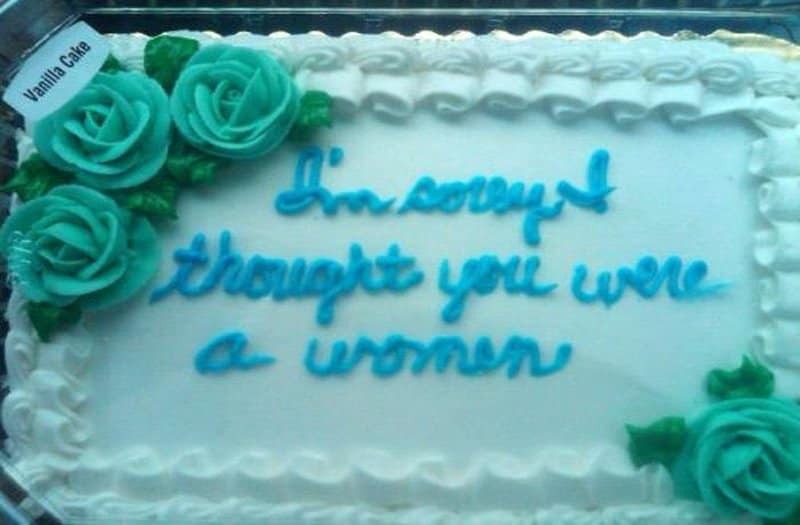 What is more awkward: mistaking him for a woman, giving him a cake about it, or misspelling “woman”? He stole your pot last night. 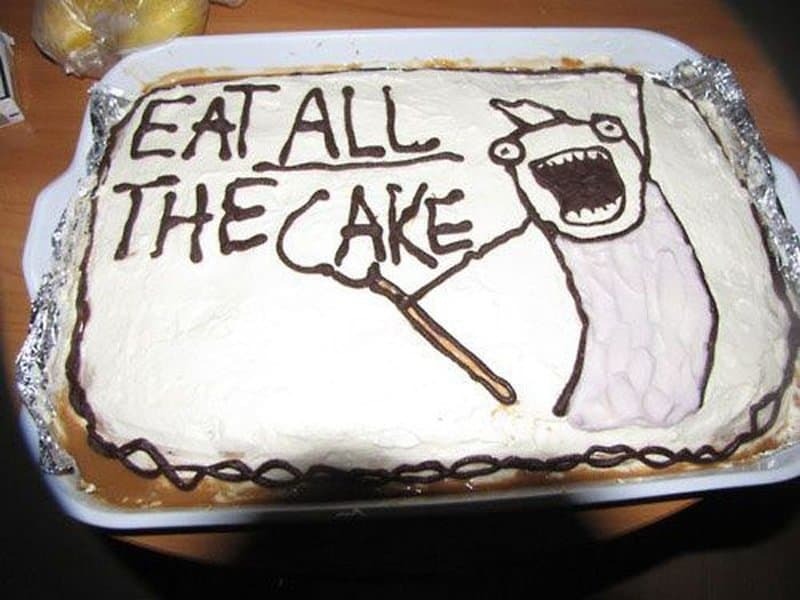 Here’s an amazing cake for the next time you have the munchies! Somebody must have been rejected for a job or something. Hopefully she has a sense of humor. 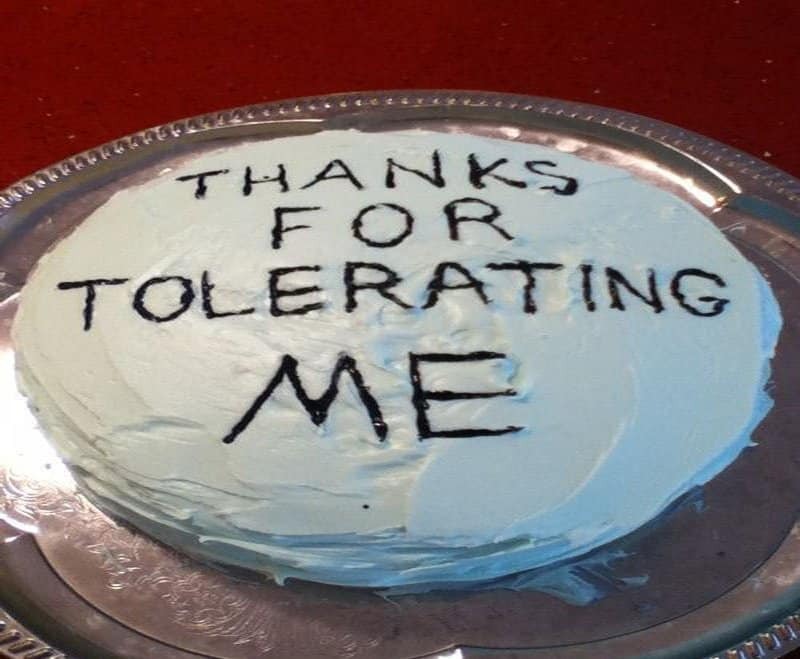 You should be grateful you even have a cake. We’re really, really hoping this person was joking. 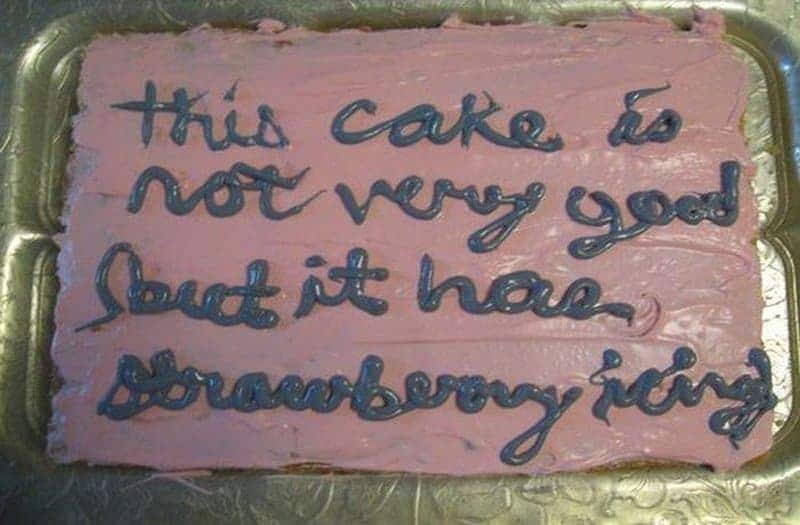 Hopefully this cake is red velvet. 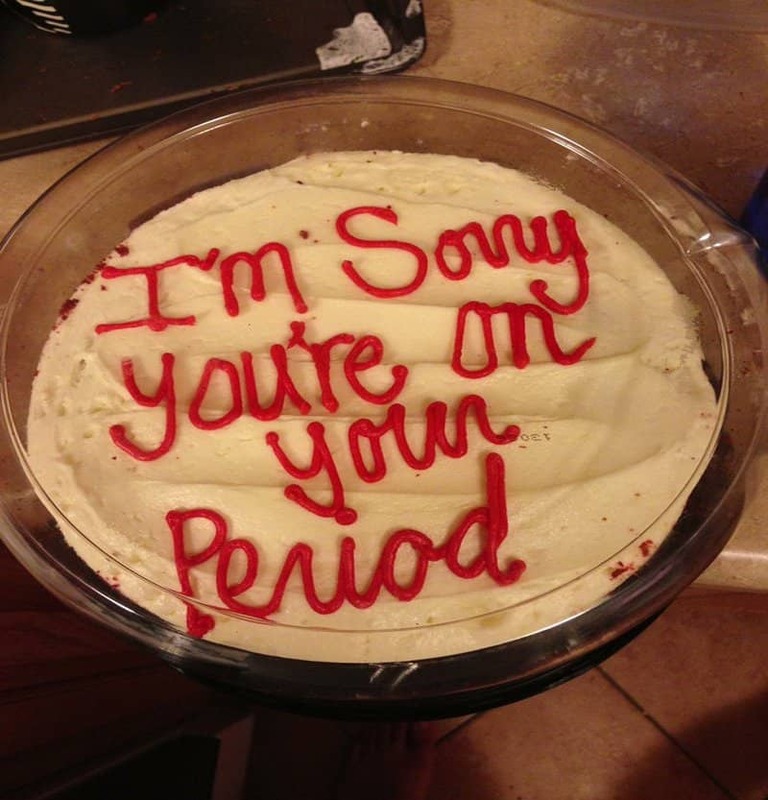 Red and chocolate flavored for that time of the month. 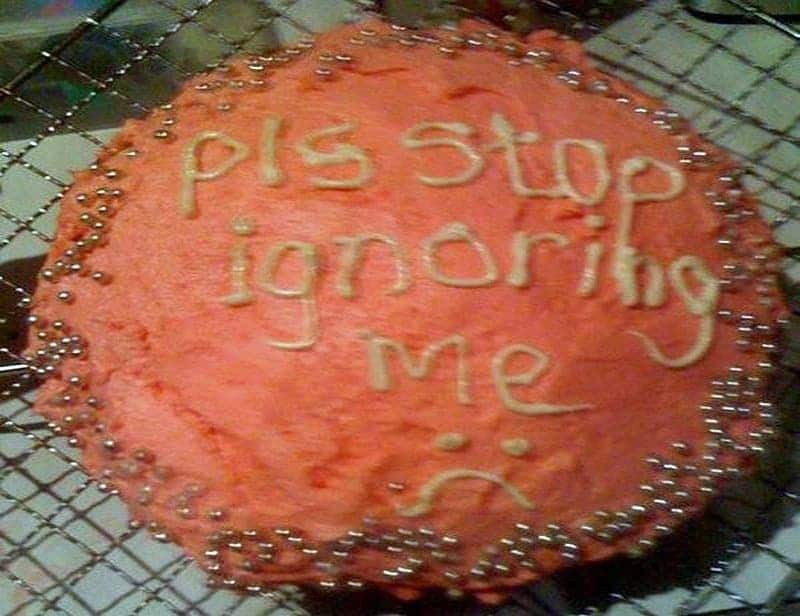 How can someone ignore such a bright, cheery pink cake? 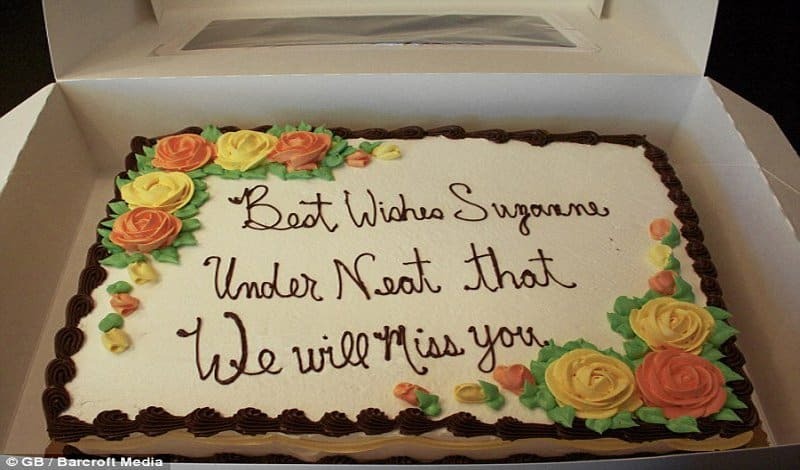 Maybe the baker was just desperate. Either the “son” or perpetrator in question has to be a dog. Hopefully both. 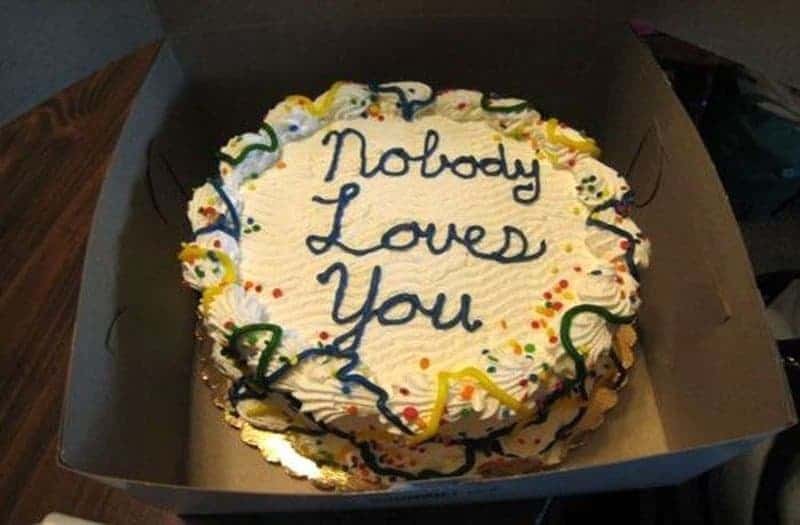 That cake baker needs a hug. 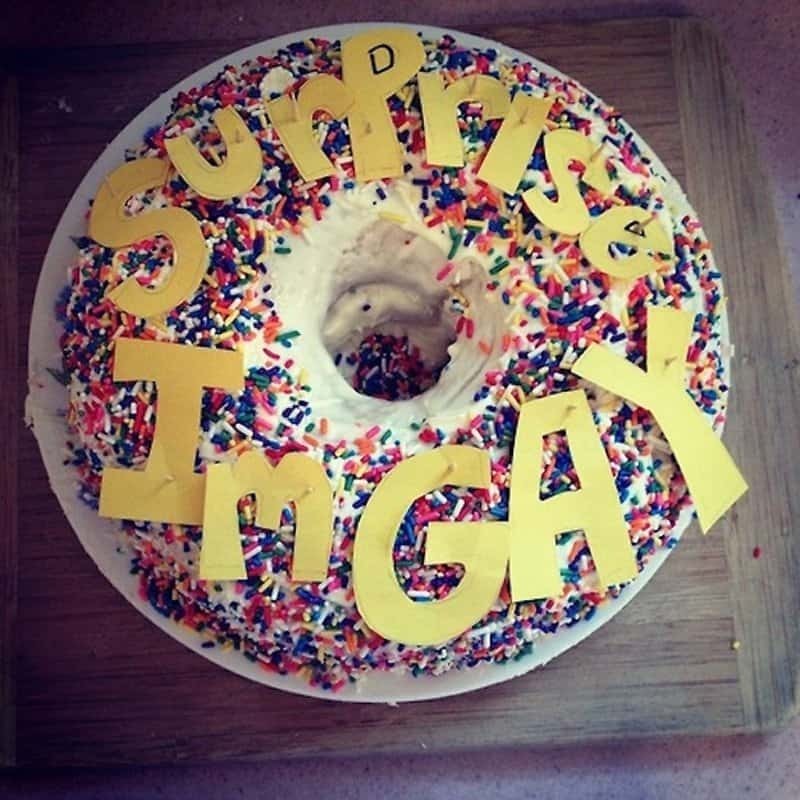 He gets the award for the most delicious Coming Out Day confession! 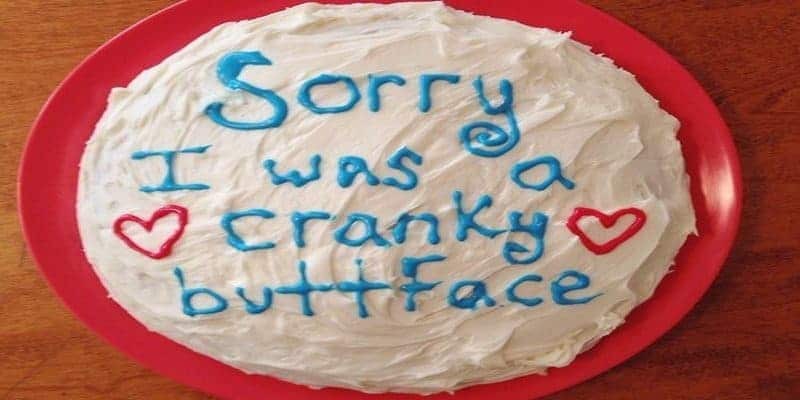 Who can reject such a yummy apology? 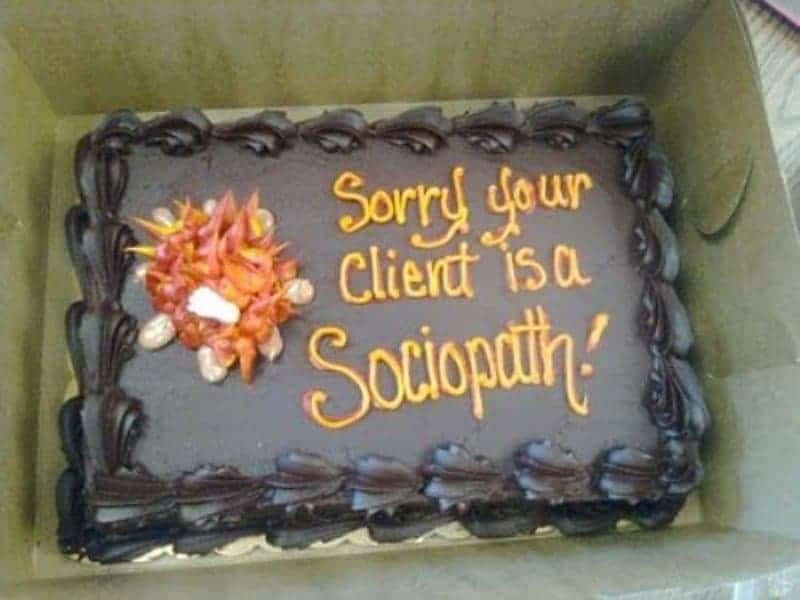 This time, the person who receives the cake needs a hug. 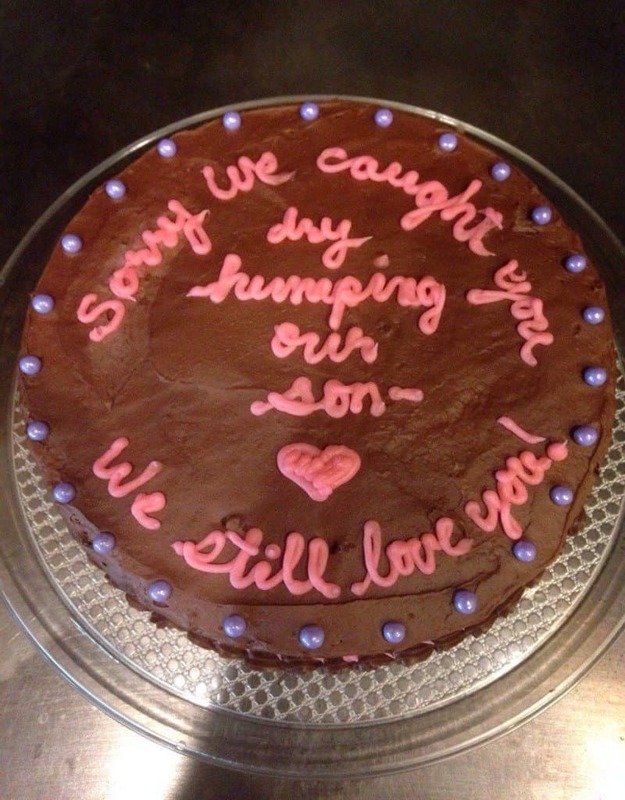 You know, at least someone cared enough to bake a cake. That shows some promise. All She Needed Was A Chocolate Cake! 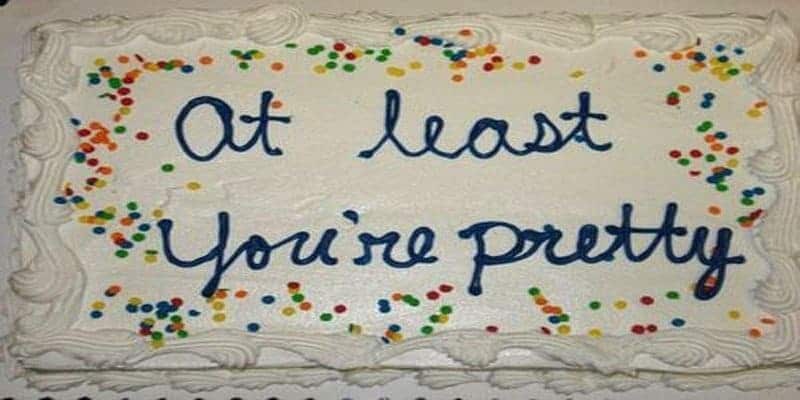 The person taking the order clearly thought this cake needed a message. 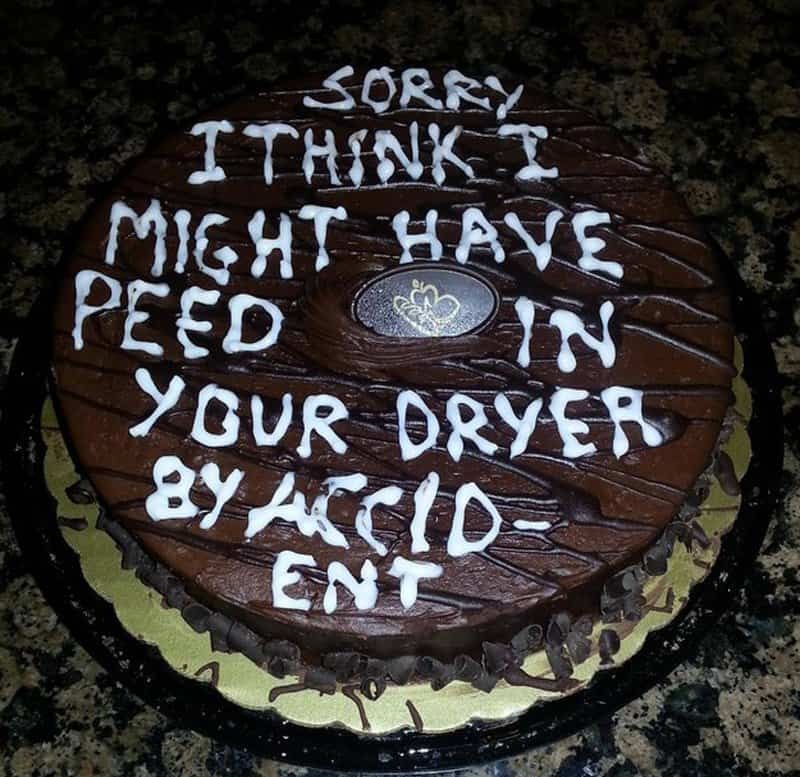 They ask, “What do you want the cake to say?” The chocoholic having a bad day responds appropriately — with the answers ending up on the cake. 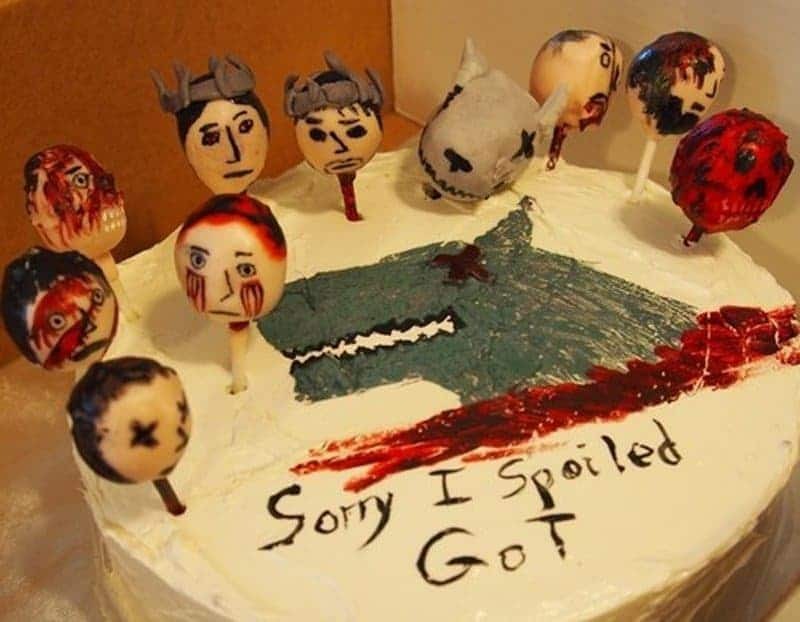 Spot any Game of Thrones spoilers on the cake? Is this a case of a non-apology? Who couldn’t obey that order? Who Is In The Most Awkward Situation? 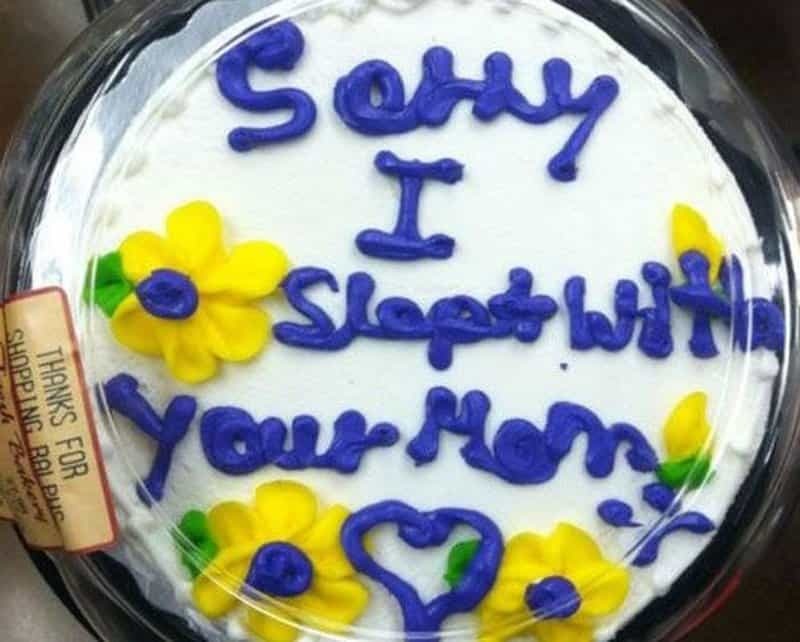 Before you feel bad for the person giving or the person receiving the cake, think about the grocery store baker putting that message on it. The poor guy probably had to change his pants as he peed them laughing so hard. Seriously, when you do something that embarrassing and no one notices, just let it go. 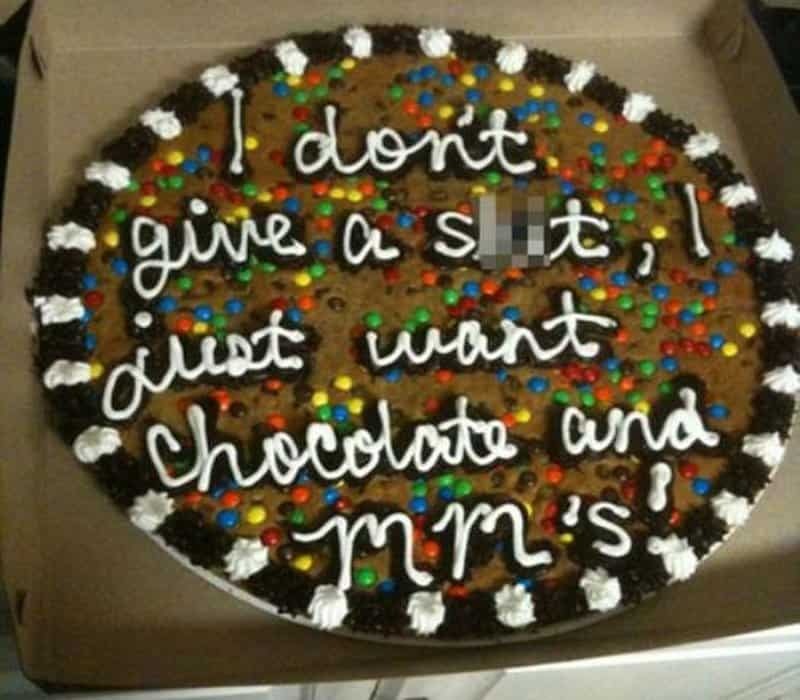 At least his co-workers understand. And the yummy cake almost makes up for the months of hassle.